Steve’s breakdown: Kinney Drugs just made a little acquisition but we think now is a great time to jump. They have 110 locations with over $800 million in revenue and we don’t see an AOR. GOUVERNEUR, NY: The owners of independent pharmacies in Montpelier and Waterbury are selling their business to Kinney Drugs, a New York-based regional chain. Rich Harvie, co-owner of the local pharmacies with Jocelyn DePaolis, said the sale will take effect in October. Montpelier Pharmacy will be rebranded, Harvie said, and Waterbury Pharmacy will merge into an existing Kinney Drugs location down the street. Harvie said the acquiring company is offering jobs to all of the partners’ current employees. Harvie founded Montpelier Pharmacy with DePaolis in 2007 after learning that Brooks Pharmacy, where the two worked, was planning to sell to Rite-Aid. The partners opened Waterbury Pharmacy in 2010 and worked with a third partner, Andy Miller, to open a store in Brattleboro that same year. Harvie said the store in Brattleboro will continue to be independently owned and operated by Miller. Harvie, 66, said his experience opening and running the local pharmacies was “terrific.” But, he said, he’s ready to relax, spend more time with his family and travel. He said the decision to sell to Kinney Drugs reflected the fact he “didn’t want the company to go to one of the really big chains.” He also praised the fact the company is employee-owned. When the Waterbury Pharmacy opened, the Waterbury Record reported that many people welcomed the store as an alternative to a Kinney Drugs location in town. That location had been home to Vincent’s Drug and Variety, which the Record called a “popular, family-owned landmark.” The newspaper said that “many local customers were unhappy” when Kinney Drugs acquired it. 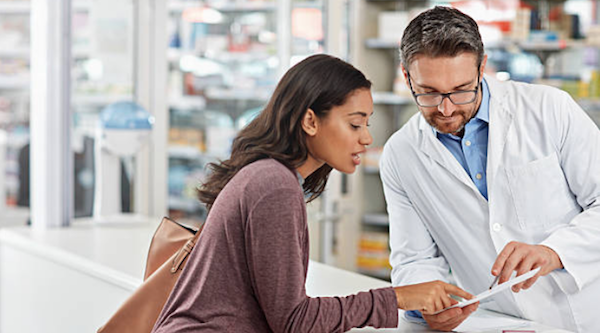 Drug Store News, a commercial journal in the pharmacy industry, wrote that the approximately 100 stores Kinney Drugs operates in New York and Vermont tallied total revenue of $829 million in 2015. But, as Harvie suggested, Kinney Drugs revenues pale in comparison with the earnings of the biggest chains. The same Drug Store News report showed that CVS brought in $126.8 billion in 2015, Walgreens had revenue of $72.2 billion, and Rite Aid had $25.5 billion. Harvie said Kinney Drugs reminds him of his former employer, Brooks Pharmacy, back when it was “a small New England company” that took good care of its employees. Harvie said the chain’s agreement to hire the Montpelier and Waterbury pharmacies’ current employees means the acquisition won’t disrupt connections they have built with their communities. As for the mural at the front of Montpelier Pharmacy of a smiling pharmacist behind a counter, Harvie admitted that it showed his likeness and speculated the store’s new owners might keep it.